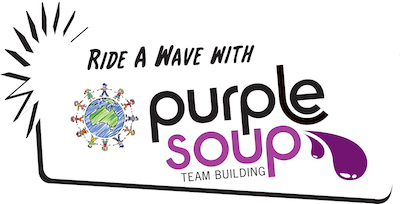 Purple Soup Team Building’s Surfari adventure will get your team members standing to attention as they navigate their way through the ocean – with only a surfboard for company. This event will foster problem-solving skills and provide a fun-filled, adrenalin-charged environment in which to reward and motivate your team. Surfing will give your team the confidence and motivation to ride the wave of success. Purple Soup Team Building can customise this event to suit your team’s requirements including high quality medallions for first, second and third place teams that can incorporate your logo and locations at Morning Peninsula, Torquay, Phillip Island, Point Leo, Portsea and Lorne. Why choose Purple Soup’s Surfari?